Some of the damage that some bugs can do…but really is there anything good that a bug can do to your trees?? These nasty little buggers will defoliate your pine trees!! 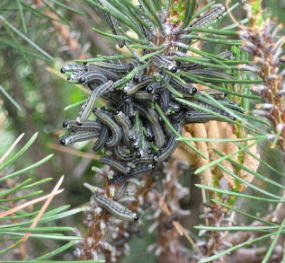 UGH – BAD Sawfly Caterpillars! We can take a look at your trees and let you know if you have any impending infestations!! Now during the winter is a great time…hint..they are sleeping! !